Getting your startup marketing wrong is one of the main reasons why start-ups fail. The key to making your marketing a success understanding the difference between strategic marketing and promotional marketing. Strategic marketing is the foundations of your plan. Here you assess your market and plan how you will reach that market. 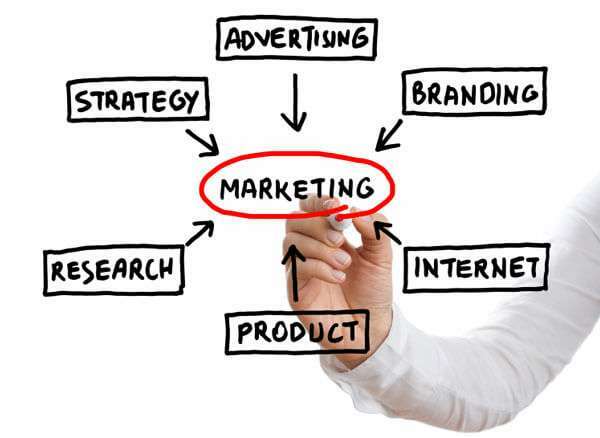 Promotional marketing is the actual execution of your strategy, for instance, advertising. In this blog post, we will go through the steps you need to take to improve your startup marketing campaigns. We will discuss how to ensure you have a product that people want, how to calculate the size of the market, how to develop your USP to beat the competition and finally how to measure success. The blog will follow the same format as the marketing plan and will help you to complete your own. If you are going to have a successful and sustainable business there has to be a large enough market or people interested in your product or service to make this a reality. Far too many businesses are set up by when there are not enough people interested in the product for the business to be successful for a long period. You will need to demonstrate you have researched and understand your potential market and can answer these questions. Can you prove the market exists? Is the market growing or shrinking? Getting your market research right is crucial for business success. Many businesses launch and overestimate the size of the market; this leads to poor sales and money wasted on marketing. The more specific your target market is, the easier it will be to build an effective marketing campaign to reach them and generate sales. For example, if your product was an android app for London nightclub goers. It’s not enough to research how many people there are in that age group in the region as there could be 3 million partygoers in London. You have now established how many people have an Android and go to clubs to London. However, this is still not evidence they would be interested in your product. You require a deeper analysis of the market. – Has bought a clubbing, dating or lifestyle app in the past two years. Many see this as a bad thing. However, it should be viewed as a positive, it’s much easier to market your product to 200,000 people who would be interested in your product than 5 million people who have no interest at all. When it is time to grow the business you can then try and expand the product to other cities or create the app on a different platform. To take your market analysis to the next level you need to start thinking about where the market is going in the future. In 2 years time will your original 200,000 market increase or decrease. What impact will this have on your projected sales? Previous sales and interaction with real customers are by far the best method of proving that a market exists for your business. Investors will be far more likely to invest in your business if you already have customers and are meeting their demands. The other way to prove a market exists for your business is by conducting market research. The easiest way of getting the information is by employing a market research agency; they will find out what you need to know about your industry or target market, however, they do not come cheap. Google / The Internet – Search engines contain lots of useful information but be prepared to spend a long time looking for what you need. Libraries – most local libraries contain trade journals and local information you may find useful. Social Networks – Use a company like Survey Monkey to send mail out surveys to via email and your social networks to find out what people think of your idea. A couple of well-written tweets in peak hours may generate a response also. 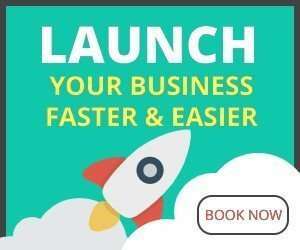 Before you fully launch your idea business test that there is a market for it. Come up with an MVP and start to sell your product. Instead of just selling your items, question your customers. Find out what they like about your product, what features they would like to see in the future. Collate all of this information, along with the demographics of your initial audience and try and make sure you can cater to that audience. A sure-fire way to business failure is to start a business that only you want. It’s a prime reason why so many businesses fail. The business owner wants to start their own business, and they are single-minded in their dream. Passion for your business is admirable. However, it does not always guarantee success. Gathering feedback from actual customers is invaluable for your business development. You need to find out the following information about your target market. What do they lose sleep over at night? What will be their biggest objections to doing business with you? Where do these people gather in groups? What other media do they digest? 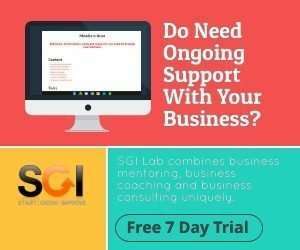 Only a few small businesses monitor their competition even though analysing your competition provides you with a distinct competitive edge. Start building a file on your direct (and in some cases indirect) competition, analysing them from the customer viewpoint through to their suppliers. The information you find out will not only help you beat your competition but will help you critique and improve your own business. By analysing your competition, you can supercharge your own business by finding weaknesses in your competitors and offering your target market a better offer. What is their unique selling point? How do they position themselves in the market? How do they market themselves? What sales channels do they use? Are they growing, declining or stagnating? How good are their employees? You can get a lot of this information from having conversations with their customers, employees and suppliers, of course in some instances you will have to conceal which company you work for. You can access credit reports, financial statement, marketing information on the internet. Are your strengths good enough to lure people away from your competitor? Is their staff better than yours? Can you improve your staff or should attempt to recruit staff from your competitor? Are your weaknesses driving customers away from your business and to your competitors? Step 4 – Developing Your USP To WIN! Your Unique Selling Point (USP) is the factor or consideration presented by a business as the reason that one product or service is different from and better than that of the competition. For your business to thrive you need a strong USP that will attract people to your business and away from the competition. Learn what motivates your customer‘s buying decisions. You need to know what drives and motivates your customers. Having some knowledge of the demographics of your target market is essential, but just as importantly, you must learn how they tend to derive gratification in life and what their purchase preferences are. People buy products and services primarily based on their desires, not on their needs. Knowing these desires and motivations will help you craft your unique selling proposition. Know the real reasons customers come to you instead of your competition. How do you do that? Ask your best source of information: your customers. This can be done in a wide variety of ways from face-to-face conversations to surveys to focus groups. Every business lends itself to certain methods of deriving this information, but the fundamental truth is that you can never know too much about your customers! The last step here is to be as objective as possible in determining what features of your business stand out as something that sets you apart from the pack. What can you highlight that will move prospective customers to choose your business? Reducing prices or proving offers or deals is the most common strategy employed, but not always the best because it could start a price war between you and your competitors that may ultimately end in you going out of business. Offering your customer more value for their money is the best long-term way of staying ahead of your competition as it helps build your reputation and brand. It is what makes you different and earns you a special place in the minds of your potential customers. Once you have developed your USP you need to reinforce this in everything your business does, this process is called branding. Branding is not just for large companies; branding is an essential way for small business to communicate with their customers and shapes the way your business is perceived. A brand is more than just a logo or a letterhead; your brand is your corporate identity. An effective brand tells the world who you are, what you do and how to do it. Branding is a huge factor in building your credibility with prospective customers. If your brand is perceived as high value, you are at an advantage over your competitors regarding pricing as people are prepared to pay a premium. A brand helps the selling processes because if you are well known and already have a good reputation, 50% of the work is done. Your brand must fit in the with the strategy of your business and be in line with your mission & vision statement and core values. Your brand should also fit in with the market position you want to be in your business to compete in. If you are positioning yourself in the high end of the market and want to portray an image of high quality, your branding should reflect this from the actual product to the location and décor of your office. If you are positioning your business at the high end of the market, your product should be of the highest quality as people at this range of the market expect the best. On the other side, there is little benefit to your business in selling high-quality goods at the low end of the market. Now that you have identified the market and identified a market and done some research on people will potentially buy your product. Next, you need to show the audience you have done the ability to engage with the market and get your product noticed and finally how you will get them to buy from you and not your competition. Your marketing materials are the information you use to promote your business to current and prospective customers. Among others, they include your website, blog, social media accounts, print brochures, business cards, and catalogues. Identify which marketing materials you have completed and which you need to be created or re-done in this section of your plan. The promotions section is one of the most important sections of your marketing plan and details how you will reach new customers. There are numerous promotional tactics, such as television ads, trade show marketing, press releases, online advertising, and event marketing. Use the customer information you have gathered as part of your market analysis to communicate and engage with your target market in places where they will be and using a voice they can relate to. If your research shows that 80% of your target market is active on Facebook, then this is where you should be trying to reach them. Like it or not, most customers go online these days to find and review new products and services to purchase. As such, having the right online marketing strategy can help you secure new customers and gain competitive advantage. Keyword Strategy: Identify what keywords you would like to optimise your website for. Search Engine Optimization Strategy: document updates you will make to your website, so it shows up more prominently for your top keywords. Paid Online Advertising Strategy: write down the online advertising programmes will you use to reach target customers. Social Media Strategy: document how you will use social media websites to attract customers. Joint ventures and partnerships are agreements you forge with other organisations to help reach new customers or better monetize existing customers. For example, if you sold replacement guitar strings, it could be quite lucrative to partner with a guitar manufacturer who had a list of thousands of customers to whom it sold guitars (and who probably need replacement strings in the future). Think about what customers buy before, during and after they buy from your company. Many of the companies who sell these products and services could be good partners. Document such companies in this section of your marketing plan and then reach out to try to secure them. A strong customer referral programme could revolutionise your success. For example, if every one of your customers referred one new customer, your customer base would constantly grow. However, rarely will you get such growth unless you have a formalised referral strategy. For example, you need to determine when you will ask customers for referrals, what if anything you will give them as a reward, etc. Think through the best referral strategy for your organisation and document it. Conversion strategies refer to the techniques you employ to turn prospective customers into paying customers. For example, improving your sales scripts can boost conversions. Likewise increasing your social proof (e.g., showing testimonials from past clients who were satisfied with your company) will nearly always boost conversions and sales. In this section of your plan, a document which conversion-boosting strategies you will use. Offers are special deals you put together to secure more new customers and drive past customers back to you. Offers may include free trials, money-back guarantees, packages (e.g., combining different products and services) and discount offers. While your business does not necessarily require offers, using them will cause your customer base to grow more rapidly. The first way has been covered in the marketing plan in step 4. In your sales plan, you need to work on a strategy for points 2 and 3. While your primary goal when conversing with prospective customers is often to secure the sale, it is also important to pay attention to the transaction price. The transaction price or amount customers pay when they buy from you, can dictate your success. For example, if your average customer transaction is £100 but your competitor’s average customer transaction is £150, they will generate more revenues, and probably profits, per customer. As a result, they will be able to outspend you on advertising and continue to gain market share at your expense. In this section of your plan, think about ways to increase your transaction prices such as by increasing prices, creating product or service bundles/packages, and so on. Too many organisations spend too much time and energy trying to secure new customers versus investing in getting existing customers to buy more often. By using retention strategies such as a monthly newsletter or customer loyalty programme, you can increase revenues and profits by getting customers to purchase from you more frequently over time. Success is different for every start-up. Maybe success is 500 new signups per month for Startup A while Start-up B thinks success is £20,000 in revenue per month. Whatever your idea of success may be, define it early and define it rigidly. Write it down or send it to the entire team. Just make sure everyone you are working with knows your definition of success and is prepared to work towards it. Be sure to stay consistent. It does not matter if you are defining success by signups, revenue, profit or anything else you can think of. What does matter is that it is tied to real growth and that it is measured the same way each month? For example, don’t define success as 500 new sign-ups one month and then £20,000 in revenue the next. Just as you should not indulge vanity success, you should not indulge vanity metrics. Eric Ries in the “Lean Startup” refers to working with vanity metrics as “playing in success theatre”. While vanity metrics are appealing, if only to your ego, they are useless. They are not tied to real growth, meaning you will not know if your startup is a roaring success or total flop until it is far too late. At the end of the day, it all comes down to the money. How much can you afford to spend on your startup marketing strategy? Set a budget early in the game and accept that limitation. Track the return on investment (ROI) on all of your marketing and as time progressing focus more and more of your budget on areas that are working for you and cut the budget on marketing that is not working for you. Marketing your startup can get expensive and often the strategy you choose doesn’t work as planned. How can you promote your products or services without spending much money or time developing comprehensive marketing plans? You’ve heard of the lean startup concept pioneered by entrepreneur Eric Ries. The lean startup approach, which favours experimentation over planning, offers a useful blueprint for developing a more effective marketing strategy. Here are three ways you can apply it to your business. Test your marketing ideas in small batches. Instead of investing months to plan and research, lean startup encourages businesses to develop untested assumptions and quickly test those assumptions in the marketplace — a concept that can easily be applied to your marketing efforts. Instead of developing big plans and investing the vast majority of your marketing budget in one or two initiatives, break your budget into smaller pieces and test a variety of ideas. For example, do not commit to six-month marketing campaigns on Facebook and Twitter. Instead, dedicate a small budget to run two-week experiments. Pick a variety of images and develop four or five different ads. Within two weeks, look at the results to measure which ads send the most traffic to your site and which ads result in better conversions. Compare the traffic and conversions from Facebook and Twitter about the money you are spending. Is one network sending more customers? Do certain ads have higher click-through and conversion rates? Which ads perform best on both networks? If your experiments fail, don’t worry — this is normal. Experimenting with different options will give you a better sense of how your prospective customers respond to your marketing so that you can focus your energy and budget on those channels and tactics that work best. Marketing is typically one-way communication, but it does not have to be. Just as lean startup encourages businesses to listen to customer feedback to modify initial assumptions, businesses can easily find ways to leverage feedback from customers as they test marketing ideas. After your two-week experiments on Twitter and Facebook end, for example, you’ll have a group of customers who purchased your products or services that you can survey. Why were your messages effective to those customers? What made them click your ads and complete a purchase? Be prepared to change gears quickly. Once you’ve gathered this information, you can move into the third lean-startup stage, agile development: the process of improving your product or service in incremental ways in response to what you are hearing from customers. If customers tell you certain images get them more interested in your products and services than others, find more of those images and re-test your assumptions. By doing this, you can adjust, refocus and find those marketing channels and messages that work best for your business.